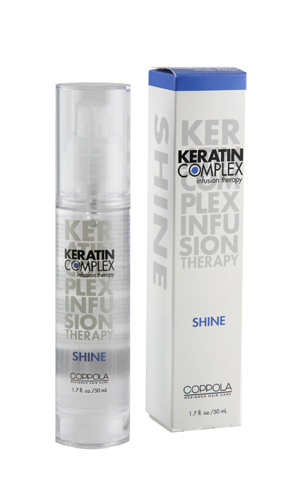 Shine is a unique blend of precious oils and keratin protein oils. This unique product is formulated with advanced surface technology. Keratin oils are deposited as an even lustrous layer on the hair shaft without build-up. Provides a vibrant shine with long lasting silky protection that does not evaporate. Use before or after blow-drying or hot-ironing.